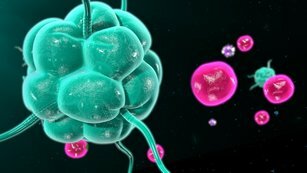 ​In an earlier Plasma article, I revealed that doctors at the Ghanaian Atomic Energy Commission would begin treating cancer patients with 'field plasma', in January 2017. 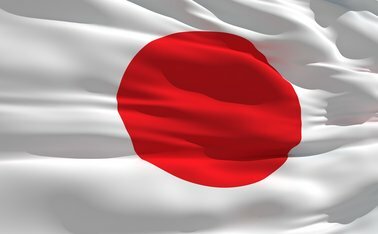 Since then, the Keshe Foundation has begun a fully compliant medical trial at Tokyo University, Japan, thereby elevating the status and recognition of the technology internationally. The Japanese trial is being overseen by both international medical boards and the ethics committee. Progress has been very fast indeed! CO2 Gans is non-toxic when ingested. CO2 Gans is non-toxic when injected into the blood stream. A number of other ganses are non-toxic under the same conditions. CO2 field plasma (carried in water) is non-toxic for ingestion or injection. CO2 and other ganses and field plasmas eradicate ALL cancer cells in vitro in a matter of hours. ​Much of this was already known, because Tokyo University conducted all the trials for Tepco, who run Fukushima nuclear power plant as I described in a previous article. Now though, the trials are no longer in secret and this time they are being conducted to meet international standards. What was not understood until now, is that while it may take several hours for cancer cells in a petri dish to convert to healthy cells if exposed to the correct plasma fields, the change occurs in every cell, all at once, in under a second! ​In other words, a THRESHOLD has been discovered, and the moment it is reached, the transformation from malignant to healthy cells happens more or less instantaneously. The transformation has been recorded on video and passed on to the medical authorities as part of the report. This is a fundamental observation. Because it further clarifies the reaction that takes place and explains the critical difference between successes and failures in previous, apparently similar experiments. If I were to tell you that you could melt a metal bar by heating it, you might apply heat for a decade and NEVER get the result. You would conclude that I was wrong. BUT if I told you that the melting THRESHOLD was 1,085 °C, you could confirm it in a matter of minutes. And this is what is happening at Tokyo University. ​Now that the threshold has been observed, the researchers are manipulating the ganses to create different field strengths. Thereby, rapidly reducing the time it takes before the critical point is reached and transformation occurs. Remember, it is the plasmatic FIELD that is important. NOT the means by which it is generated. One delivery method is to inject water carrying the appropriate fields into the blood stream. This is the delivery route to be applied in Ghana. ​Let's first look at a couple of newly explained immune mechanisms, starting with the nuclear reaction between microbes and calcium in the immune cells. Calcium's involvement in the immune response has long been acknowledged, but not understood. So 'let's expand the knowledge', as Mr Keshe is fond of saying. ​Every element, once incorporated in the body, is in a gans state. The gans of the element is like a little sun, giving off and receiving fields of its own bandwidth. (A solar flair doesn't just project away from the sun, it bends back and returns also.) The field that projects OUT is matched by the field that must RETURN. ​Mr Keshe reminds us here, that there is not just ONE calcium. Rather, due to calcium's isotopes, there are in fact many, and only certain of these are taken up by the immune B cells and T cells. These specific calcium isotopes, share the same 'bandwidth' as certain infections. This is like saying that both the calciums and the infections share the same radio wavelength, where one can interfere with or over-power the other. A fundamental understanding of field plasmas, is that fields of the same 'bandwidth' (sharing the same radio wavelength) feed one another, in what could be described as a two way osmosis. The 'weaker' will have a weaker magnetical field and stronger gravitational field, while the 'stronger' will have a stronger magnetical and weaker gravitational force. So a reciprocal exchange of field forces immediately takes place. ​When calcium in an immune cell comes within range of an infection, the calcium isotopes' field forces are 'weaker' than the infection so the infection 'takes' from the calcium, causing it to deteriorate down. 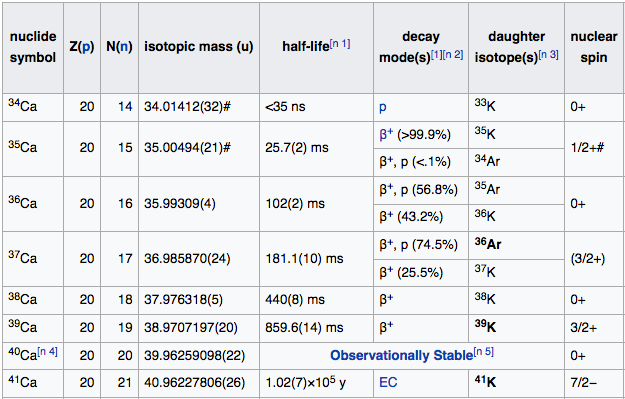 As a nuclear physicist, Mr. Keshe points out that this lowers the calcium's energy state to that of Potassium (K) as shown in the calcium isotopes table below. In other words Calcium breaks down or decays very rapidly to Potassium. For example, 35Calcium takes 25.7 milliseconds to convert to 35Potassium and in doing so, it releases Beta (nuclear) radiation. A number of the Calcium isotopes break down to Potassiums, releasing high Beta (nuclear) radiation. And one of the isotopes (37Ca) decays to Argon which, in the environment of the body also releases high Beta radiation. It is this blast of radioactivity that destroys the infection. ​Now let's look at silver. 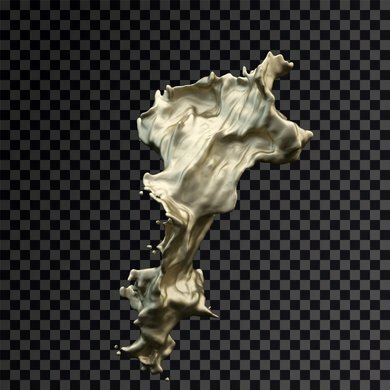 Various forms of silver, particularly colloids, have been used for centuries for medicinal purposes. Despite colloidal silver's impeccable credentials as an antimicrobial, its use has become most controversial. Finally, with a knowledge of field plasmas, silver's mode of operation may be understood. The full 'bandwidth' (think of the radio wavelength) of Calcium is 34 to 57. Silver on the other hand, spans from 93 to 130, so delivers twice the power of Calcium, as it breaks down to release far stronger radioactivity to destroy the infection. So in bacterial infections there is a two step process. Step one is the field forces of the bacterium being stronger than those of the calcium or silver isotopes. And step two is the immediate decay of those isotopes to their 'daughter isotopes' and the simultaneous release of Beta radiation which kills the offending infection. This is completely new to science. In viruses, it is actually more straightforward. The excessively strong energy packet (being the virus) shares a bandwidth with the weaker energy of the CO2 Gans or its plasmatic fields. As explained above, the stronger feeds the weaker, and having given away some of its field strength, the virus loses its grip on the protein structure to which it is bound. The down-graded virus then simply becomes an energy source for the body. Cancers too, are predominantly a one step process. According to the research now confirmed by Tokyo University, they possess an excessively strong gravitational field force, meaning that they attract more and more mass, stealing the energy from around them. 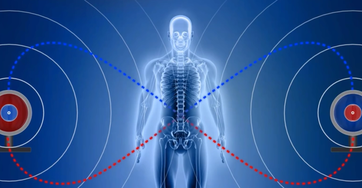 By providing equal and opposite field forces in the correct bandwidth, that attain the required threshold, the magnetic and gravitational field forces are brought back into balance. The cancer is immediately resolved, and the excess energy is used as impetus to create healthy tissue in place of the malignancy. ​But the story doesn't even end there. 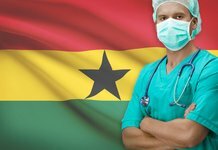 Not only are the human trials going ahead as planned in Ghana, starting in the second week of January 2017, but the Ghanaian government has agreed to the development of a 20,000 square meter plasma technology hospital. Meanwhile, the most recently released report from Tokyo University, to the health authorities and ethics committee, is that they recommend gans/plasma treatment to replace radiotherapy and as an alternative to chemotherapy. They have already confirmed that tumour reduction and growth of healthy tissue commences within 24 hours, but now they are puzzled. Keshe reports that over the past week they have introduced new ganses with 'amazing result'. They appear to have unlocked the secret of which gans elements lead to the creation or growth of which tissues. This has led to a whole new line of investigation. And I look forward to reporting on that in my next article. As stated before, anybody wishing to take part in the Ghanaian trial should contact the foundation direct. They are looking for an initial quota of 50 tumour cancers. Each patient will need to have had the yellow fever vaccination 10 days prior to flight. The treatment procedures will be handled in government hospitals and an international community of doctors is invited to attend and supervise. While the anticipated stay in Ghana is currently 30 days with treatment administered by injection, the ultimate, stated goal is, that in the future the correct mixture of ganses will produce the magnetic gravitational field saturation point, at the required threshold, in as little as the first 3 - 5 minutes.